Select the Name of the Note that you would like to find. The note will automatically appear on the fretboard above. Need to learn the names of the notes? 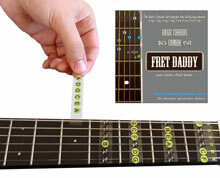 The Fretboard Note Map is the sticker set for you! If you would like to learn chords to over 1,000,000 million songs, check out the Basic Chords. 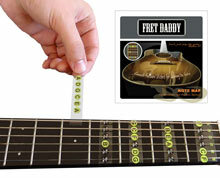 The Combo Pack comes with everything you need to be on your way to mastering the fretboard. Want to learn to play ukulele? We've got you covered. Check out the ukulele note map. 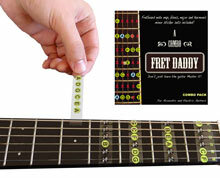 Fret Daddy is the world's leading manufacturer of instructional stickers for fretted instruments. 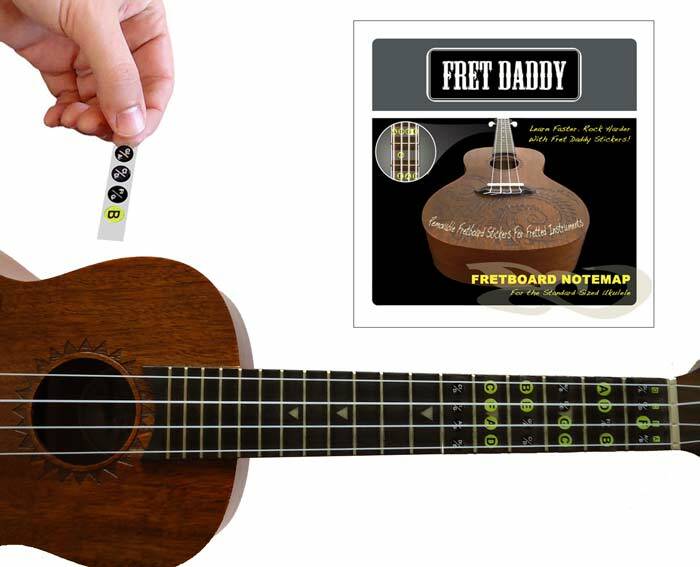 Since 2010, Fret Daddy has been dedicated to helping students of guitar learn fretboard notes, chords, and patterns as easily as possible.